Simpler PR is an interiors and lifestyle PR agency with a client centric ethos. They are looking for an account manager or senior account executive to join their friendly team in Norwich. From annual Christmas lunches with clients and journalists to brainstorms aplenty (with cake!) to take part in, this agency gets huge respect in the industry. We spoke to Marie Fuller, founder of Simpler PR, to find out why it’s such a fun place to work and what it takes to be a successful PR professional there. Why would someone want to work at Simpler PR? Working at Simpler PR doesn’t usually feel like working. There is always something fun to contribute to. We have lots of brainstorms (with cake!) and a fabulous annual Christmas lunch for clients and journalists. We are a friendly, engaging and nurturing team with a fabulous track record. We have never lost a client to another agency so we have huge respect in the industry. What role are you recruiting for and what are their responsibilities? We are looking for an account manager or senior account executive to join us. The account manager will have full account management responsibility and will manage clients and media liaison with considerable autonomy. The account manager or senior account executive will create PR plans, write press releases, brainstorm ideas, organise meetings with clients and journalists and direct an account executive, as well as provide some administrative support to the team. Someone who is energetic, fun loving, a real people person, hard working, creative but with an eye for detail and a determination to do a good job. What career challenges are PR professionals currently facing? It is an interesting and challenging time in the world of PR. Social media and online PR have changed the face of PR for ever. It is fascinating to see how social media and online and offline PR can work together to create truly amazing results. Life would be boring without a challenge! Senior account executives can work towards a full account management role, and account managers can progress to senior account management and account director. We are a relatively small company which means everyone is involved in the big decisions and can grow with the company! We look after some amazing clients, such as Natuzzi, Delcor, Aspace and French Bedroom Company to name but four! We also have some b2b clients who are exhibiting around the world next year which will be very exciting. There is always some new launch, event or exhibition to work on. 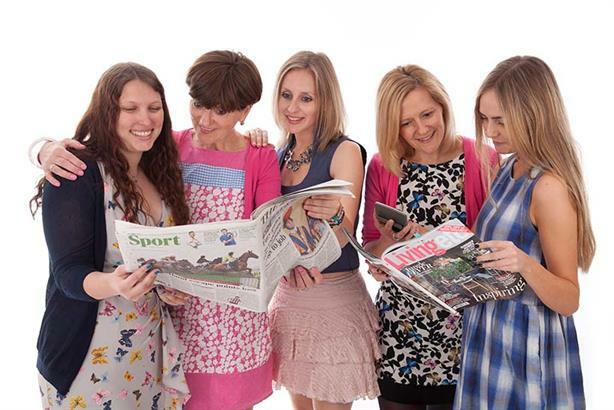 Life is never dull at Simpler PR! One of my colleagues described Simpler PR as her family and I think that pretty much sums it up. Amidst all the socialising and fun, we do a good job and our clients are happy. If our clients are happy so are we – and they nearly always are! So, to sum it up, there must be just one word: fabulous!